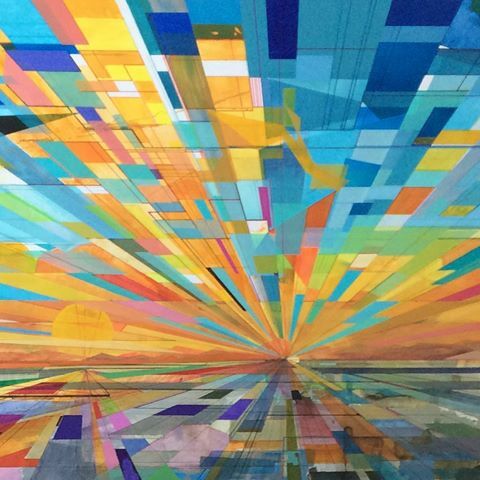 This Phoenix-based artist, 39, who earned his Master of Fine Arts degree at Arizona State University in 2017, uses scissors to shape the inside of recycled envelopes into streetscapes. 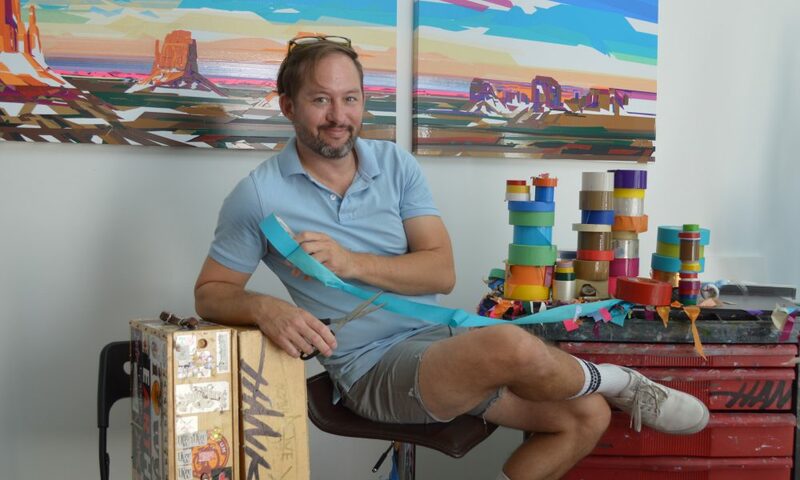 He also cuts up tape (duct, packing, painter’s) into colorful landscapes and abstract pieces. His first brush with the non-traditional medium happened at age 21 in Montana – his home state – where he started taping cigarette ash into contemporary designs on cardboard. 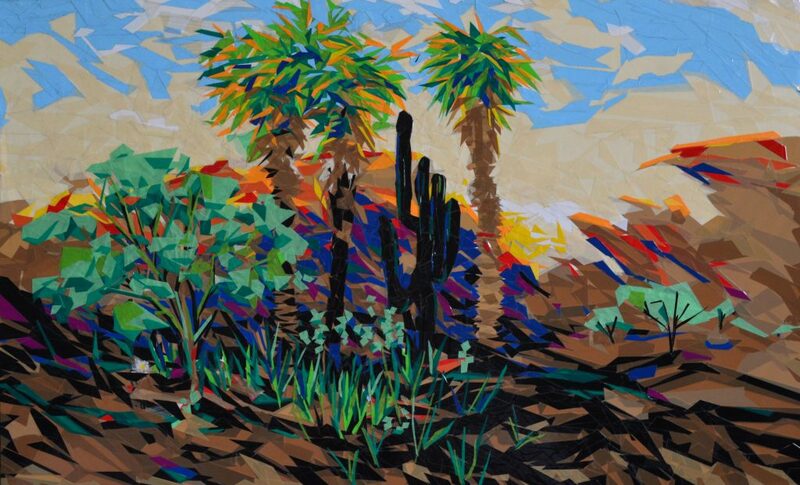 Ivey also paints the traditional way, as “Hank,” his alter ego, who works with acrylics and oils in plein air. 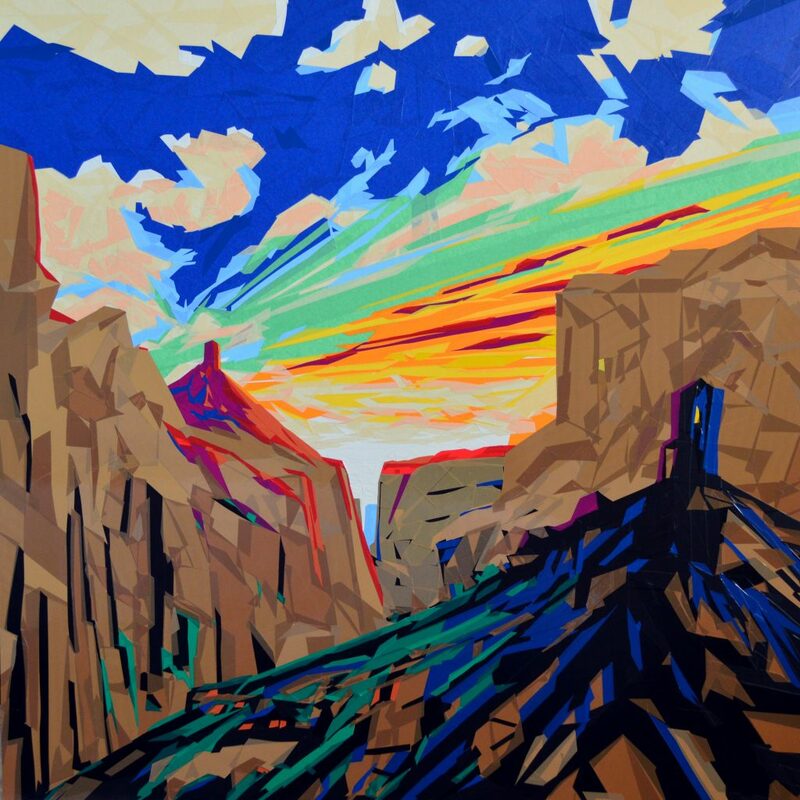 One of Hank’s works, a landscape featuring the Grand Canyon’s North Rim, hangs at the Downtown FOUND:RE Phoenix hotel. Currently, Ivey is experimenting with merging his two artistic personalities. 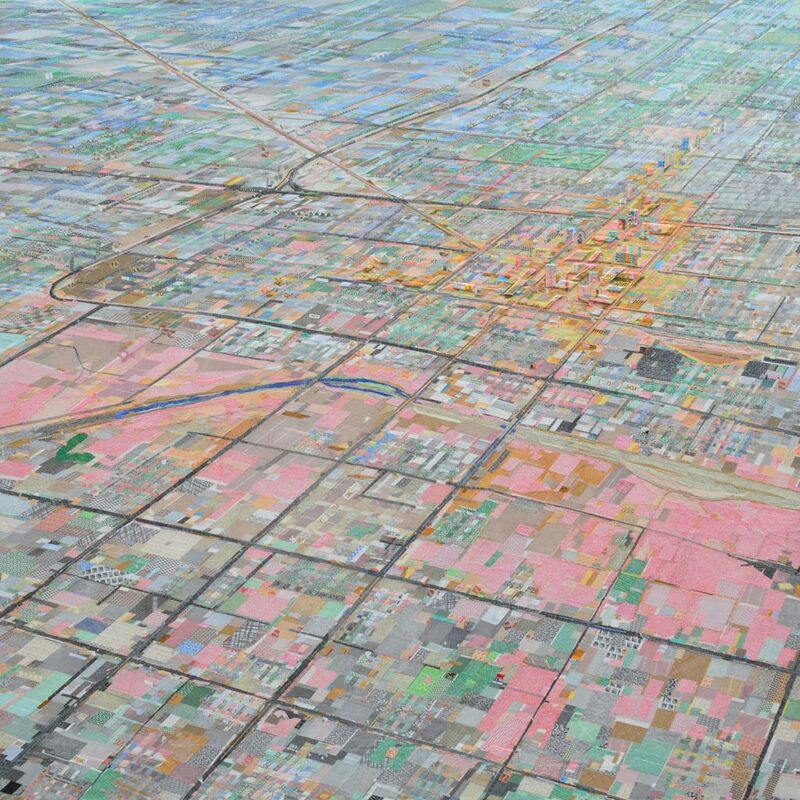 The result is lightly lined geometric patterns of paint that form a new kind of landscape. In addition to being an art space blog for writing, travel, music and visual art collaborations, Gen Society is an online venue for a one-on-one creative relationship designed to help artists expand their creativity. It is a platform for music lessons & artist mentorships, creativity coaching, and music production. A place to share work with the opportunity to give and receive critique. Gen Society is an experience for those looking to grow as an artist and move beyond their own personal limitations, and/or those in pursuit of guidance to becoming an artist themselves.